Roger Federer will kick off his 20th season as a professional at the Hopman Cup next year, returning to the international team tournament in Perth for the first time since 2002 when he teamed up with his now wife Miroslava Vavrinec, better known as Mirka. The world No.3 will partner 16th-ranked Belinda Bencic in his first appearance in 15 years at an event that serves as a warm-up for the first Grand Slam of the season, the Australian Open in Melbourne. 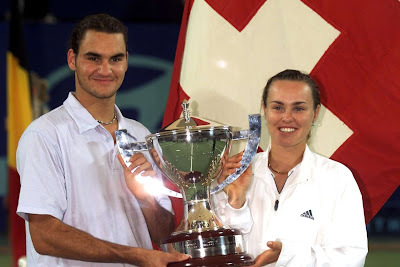 Federer, 34, teamed with Martina Hingis to win the Hopman Cup in 2001. 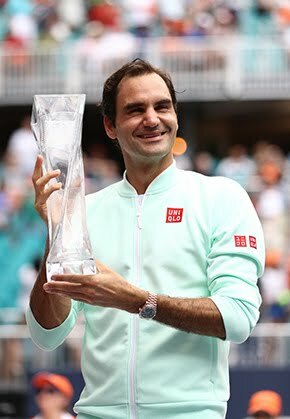 "I do remember it was a good preparation way back when so I thought it would be nice to do it again," the 17-times grand slam champion, said in a video release. "Plus I was watching the telly this year from Brisbane and watching the great atmosphere that was at the Hopman Cup when Nick Kyrgios was playing and Andy Murray was playing and I though it would be cool to be part of that. "I like to play in new places, if you know how my mind works, it’s always very exciting so I can’t wait." 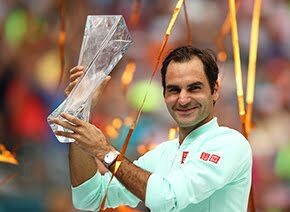 Acting Premier Liza Harvey said: "We are thrilled that Roger Federer has chosen to start his 2017 season here in Perth. "The Hopman Cup has welcomed some of the biggest names in tennis over its 28-year history, and the 2017 line-up is off to a terrific start with one of the greatest players of all time." The Hopman Cup, which was won this year by Australians Nick Kyrgios and Daria Gavrilova, takes place at Perth Arena from January 1 to 7.